Ted was standing on his own in a corner of Kim’s capacious sitting-room, on the second floor of a large stuccoed house in Belsize Park Gardens, not far from Swiss Cottage, London, where I was living at the time. It was New Year’s Eve, 1963/4. I remember little of our conversation, but I was pleased or relieved to see him there. The past year had been a terrible one, with the suicide of Sylvia in February. What, however, has remained in my memory is that, during the course of our conversation, Ted mentioned that he had once had an idea for a journal, devoted solely to translation of contemporary poetry into English. Its novel aim was to present as much foreign poetry as possible in English translation: “an airport for incoming aircraft” was how he put it. A larger aim was to inundate English literary sensibility with foreign products. Ted even wondered whether it might be feasible to mail a copy to every poet in England. Another, even more fanciful idea was to print the magazine on table-napkins. The rationale was perhaps not dissimilar to that espoused by the Gideons who place a copy of the Authorized Version of the Bible in as many hotel bedrooms as possible. Ted, in fact, wanted a copy of his and Seamus Heaney’s anthology, The Rattlebag, in every hotel room and even suggested as much to Faber. I also recall an idea of the late Joseph Brodsky, as a US Poet Laureate, to place an anthology of poetry alongside the Gideon Bible. At any rate, Ted’s project for a poetry translation journal did not come as a surprise, since he had already mentioned it to me in a letter from the States, where he had received encouragement from Sonia Raiziss, founding-editor of the magazine Chelsea. Ted was adept at coming up with proposals at the right moment, and, I dare say, I was not fully stretched intellectually at the time. Anyway, I began to explore the practicalities of his suggestion, somewhat naively contacting cultural attaches among others. Perhaps, the times were propitious, because my amateurish efforts were rather productive. For instance, I sent out a few hundred subscription forms to American university libraries, addresses painstakingly copied from a directory in the Round Reading Room of the British Museum. About a quarter of these institutions subscribed, and I remember feeling disappointed that not all had done so, not realizing that such a response rate was almost unheard of! I ought, of course, at once to have mailed the remaining libraries, in which case Modern Poetry in Translation (MPT) would have begun life with a substantial subscription basis. It might even have been able to survive without public subsidy, which came, as always, with strings attached. The point is that Ted’s idea was commercially feasible, unlike perhaps – but who knows! – some of his other schemes. I have in mind examples, such as breeding eels or raising minks. That the times were ripe received further confirmation when I wrote to the late Dennis Silk, an English-born writer living in Jerusalem. I naively asked for the name of and some sample poems by the “best living Israeli poet.” Dennis wrote back quickly, naming Yehuda Amichai, and enclosed some translations by himself and others of Yehuda’s poetry. These translations appeared in the first issue of MPT, alongside poems by various Eastern European poets, whom Ted had met at poetry festivals, like the one in Spoletto. At such places where modestly anonymous, more-or-less literal English translations of participating poets had been circulating. When Ted received the Amichai translations, he commented that we needed a lot more. He asked his friend Assia Gutmann, who had been raised in Israel, if she would supply them. In due course, the first collection of Amichai’s work appeared, in Assia’s translations, reworked with Ted, and published by the Cape Goliard Press. Ted believed, as noted, that a goodly number of translations was needed. He was opposed to the idea of magazines, in which a small number of poems were stylishly presented. Rather, he believed that as many as possible should be squeezed in. The first issue of MPT was, in fact, on his suggestion, printed in the form of a newspaper with three columns per page, bristling with poems. This had something to do with his conviction, which I shared, that to appreciate a poet’s work one needed to see many examples of it. Of course, there were implications with regard to the translations and emphasis on quantity was not conducive to agonizing over every line, by which I do not wish to suggest, however, that Ted was insensitive to quality. The Amichi translations were included in a volume of Selected Poems, published by Penguin, in 1971, in the Penguin “Modern European Poets” series (Amichai was born in Germany). The volume, however, is described, somewhat misleadingly, as “Translated by Assia Gutman and Harold Schimmel with the collaboration of Ted Hughes,” with an “introduction” by Michael Hamburger who had also agreed, on Ted’s invitation, to become one of the advisory editors of MPT. This was of course somewhat later, in 1968. The Goliard volume was a slim, handsome hardback with barely legible Hebrew lettering on the pale-blue dust-jacket that Assia herself had designed. Later Ted Hughes collaborated with Amichai in translating the latter’s poetry. (Amichai later intended to reciprocate by translating Crow into Hebrew). In his 1977 introduction to the collection Amen, “translated by the author and Ted Hughes,”,Ted wrote: “The translations were made by the poet himself. All I did was correct the more intrusive oddities and errors of grammar and usage, and in some places shift about the phrasing and line ends. What I wanted to preserve above all was the tone and cadence of Amichai’s own voice speaking in English, which seems to me marvelously true to the poetry, in these renderings. What Pound called the first of all poetic virtues – ‘the heart’s tone.’ So as translations these are extremely literal. But they are also more; they are Yehuda Amichai’s own English poems.” According to Hana Amichai, the two discussed problematic passages on the phone. The quotation is interesting on at least two counts. First, it was indicative of Ted’s conviction that essentials could best be conveyed via literal versions, especially if produced by the source-language poets, however shaky the latter’s grasp of English. (Amichai’s grasp, of course, was far from shaky). Second, it revealed his interest in Pound’s work, at least as a translator. Pound himself was unknown to me before Cambridge, and I think our group disapproved of him, not so much on account of his Fascist sympathies, but because he was more or less dismissed by Robert Graves, author of The White Goddess. That book had been very important to us, especially to Ted. Graves had also inspired us in his iconoclastic 1955-6 Clark lectures at Cambridge, later published under the ironic title of The Crowning Privilege. That these translations were, as Hughes said, also “Amichai’s own English poems” was a statement of fact. Ted was being honest about his procedure, and he did no indulging himself in his work on Yehuda’s own versions. What we witness, in this instance, in fact, is an act of attentive listening on Hughes’s part, eventuating in what might perhaps be termed "creative non-intervention." MPT was more than just a hobby-toy for Ted; he also determined its early policy. Translation required not only concentrated listening, but also self-discipline, a reining in of the tendency to “make the poem one’s own”. Nor, it should be added, did Ted much trust critical commentary, unless, perhaps, as an factual supplement to an ad-verbum version, as with Vladimir Nabokov’s polemical translation-plus-commentary of Pushkin’s Eugene Onegin, which for Ted, along with Specimens of Bushmen Folklore, edited by W.H.I. Bleek and L.C. Lloyd, was a benchmark of literal translation. Ted may fairly be said to have adhered, even this early and well before it was identified by scholars, to a foreignizing tendency, a readiness to allow translation of foreign texts to alter English itself. Translation, thus, opened for him various possibilities, although he also had a firm grasp of what was acceptable to readers. Ted’s involvement with translation is surely related to his own needs as a writer, his dedication to truth, i.e. the substance of the original work, although it has been observed that, while remaining close to the literal version, he produced works that were unmistakably “Hughesian”. That his translations were an integral part of his own writing, just as the promotion of translation was seen as part of his professional duty as a writer, has largely been ignored. Ted took his translating responsibilities seriously, and even before we discussed the prospective poetry-translation journal, persuaded the British Arts Council to also concern itself with what was going on elsewhere in the world, especially in Eastern Europe, where, after the death of Stalin in 1953, artists and intellectuals were becoming visible. His early celebrity status enabled Ted to be self-invited to various international poetry festivals, where he became acquainted with poets of the older-brother generation, born in the 1920’s. Such poets as Miroslav Holub, Vasko Popa, Tadeusz Rozewicz, Zbigniew Herbert, Yehuda Amichai, and Janos Pilinszky were among his new friends. He used his literary status to promote the idea of an annual international reading (Poetry International), as well as our own magazine, MPT, Modern Poetry in Translation. We received a boost when the Arts Council gave us their backing, even in the face of some serious opposition. Occasionally a trifle ingenuous when he had a scheme in mind, Ted was at the same time a forceful advocate and a visionary nature of his projects. This sense of purpose was recognized by enough of the powers-that-be, especially, Eric Walter White, Literature Director at the Arts Council, that Ted won his support. I suspect that it was not so much Hughes’s growing reputation that eventually won the day and the fact that he was becoming a kind of young and fresh poetic ambassador for things English, as the nature of that reputation: his being a prominent younger writer, concerned or identified with Englishness. As the first MPT editorial indicated, we were on the lookout for literal translations, different from Robert Lowell’s much admired and discussed Imitations. Curious about foreign poetry, Ted believed he could make contact with it only via verbally close versions, which embraced the foreign, as against versions which had been reworked by an English-language poet into something more familiar or personal. We adhered, as best we could, to this “principle”, even if it was not fashionable. It still remains unfashionable. Cicero’s notion of sense-for-sense rather than word-for-word translation still remains the dominant mode or accepted route out of despised literalistic servitude. It seems to me now, with hindsight, that the character of much of the work we were dealing with may also have encouraged this literalistic attitude. Ted was particularly drawn to the post-War Eastern European poets of the generation preceding his own, who were still living under conditions of totalitarian oppression. Their direct experience of the worst of wars reminded him of his father’s participation in the Galipoli campaign during World War One, the worst of wars up to that time. 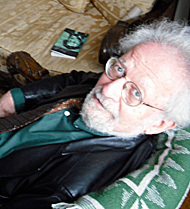 As Ted put it in his “Introduction” to the Selected Poems of Vasko Popa , the Yugoslav (Serbian) poet who became a personal friend, “[these circumstance had] brought their poetry down to such precisions, discriminations and humilities that it is a new thing.” Vasko Popa became one of his close friends. I believe there is a connection between the fashioning of an essentialist or naked language and rejection of traditional embellishments by the writers of this first post-War generation and Hughes’s own distancing from the elaborate idiom, inherited from poets, such as G.M. Hopkins and the American John Crowe Ransom. At the same time, Hughes was looking for ways forward from his own somewhat elaborate prosodic beginnings, that did not lead into the dead-end of “confessional poetry,” of the kind inaugurated, one might say, by Robert Lowell in Life Studies, 1959. Lowell’s collection of translations, Imitations, a term used by Dryden three centuries before, also appeared in the late 50’s. It represented the other end of the spectrum of possibilities, so to speak, distanced from the ad-verbum. In “conversation” with D.S. Carne-Ross, founder of the Boston-based classics-orientated magazine Arion, in the very first, 1968, issue of Delos (Carne-Ross, Robert Lowell, William Arrowsmith - all, incidentally, classicists - and other translation illuminati were involved) Lowell discusses his free approach to the translation of Classical poetry and drama, as against, for instance, the Homer-translator Richmond Lattimore’s prosodic literalism. “Lattimore’s translations,” he observes, “are just the opposite of what I am trying to do.” In teaching the Iliad, he used Lattimore as a trot: “I was amazed to discover that each line of Lattimore’s was the same as in Homer.” He adds: “You can’t possibly call Lattimore’s Iliad great poetry. He has invented a kind of literal verse translation, more literal than any in English, I think. He avoids the usual translator’s cliches but it’s dry and unmusical.” One feels inclined to add: but at least Lattimore, even if he has not rendered Homer’s “music” does not impose his own. Lowell does, in fact, admit that “these trots” are usually better poetry than the professor’s or even the minor poet’s poetic translation of a masterpiece.” Carne-Ross refers him to his own later translations of Juvenal, for instance, in Near the Ocean, which are closer, and Lowell responds rather helplessly: “[It] just seemed interesting to try to be more accurate.” In his Note to Near the Ocean, Lowell writes: “The theme that connects my translations is Rome, the greatness and horror of her Empire (so, one needs to cast one’s mind back to 60’s America). My Juvenal and Dante versions are as faithful as I am able or dare or can bear to be.” And yet, when taxed by Carne-Ross about his apparently taking possession of the original, Lowell’s claims that: “the whole point of translating – of my translation, anyway – is to bring into English something that didn’t exist in English before. I don’t think I’ve ever done a translation of a poem I could have written myself…” He is explicit about what he is doing, . and I believe it is a wrong-headed to castigate him for not doing what he never intended to do. Ted Hughes, an admirer, certainly did not blame Lowell, but he made it clear that he himself was after something different. Lowell and Carne-Ross apparently held that even a newly translated poet should be translated freely rather than presented in a close (i.e literalistic) version. But “[no]one should inflict on the market a long dull collected Pasternak done by professor X in meter that is very bad, very uninspired English poetry.” Carne-Ross then makes a sensible suggestion: “Ideally there should be three tiers: the original, a poet’s translation, then a literal trot. We need all three. This is one of the things I want to do in Delos.” It might indeed be desirable, if not commercially feasible, to add a commentary to the literal translation, as in Stanley Burnshaw’s admirable anthology: The Poem Itself, 1960, where Burnshaw supplies the original, side by side with an ad-verbum English version and, in his introduction to the volume, persuasively argues the need for such a novel approach, to convey the reader to the poem, the poem itself, rather than bring the latter to a passively waiting reader. Hughes’s approach to translation evolved in practice. The contradiction between the literalistic early approach and the freedom of his later adaptations of Greek dramas is striking, but it is also more apparent than real, as becomes clearer when one relates his translations to his own work as a poet. What drew Ted Hughes to translation was at the same time, perhaps, what made him wary of it? Neil Roberts in his succinct account of Hughes’s involvement with translation (Chapter 14 of Ted Hughes: A Literary Life, 2006), quotes Hughes himself who, in a letter to his friend, the American artist Leonard Baskin, wrote in October 1996: “Translation got me off my own rails – with a feeling of going somewhere. But they went on too long.” As a translator myself, I can't but sympathize! One problem, of course, is that there is an infinity of material to be translated or retranslated. Furthermore, it is less disruptive of inner peace, to work with someone else’s words than to confront one’s own absence of words. Still, Ted Hughes’s complaint makes me feel slightly guilty as one of those who drew him further into impassable terrain! Nevertheless, it is also true that he needed to insert himself into a larger cultural, literary framework that included not only Shakespeare and Coleridge but also Aeschylus and Ovid, an excellent way of so doing being to translate, which is an intensive form of reading. Hughes’s project was simply too large for a single life span. Though he was theoretically capable of reaching the goal, mortality intervened. One might also say that Hughes was looking for the truth, since translation is a form of truth-seeking and Ted was drawn to mental disciplines such as memory-training, involving the use of “mind-maps”, a mnemonic device described in detail by his friend Tony Buzan. He was attracted, for instance, to the latter’s practical approach to mind-training. It is not too much to suppose that he regarded translation, an ultra-complex mental operation, as a similar discipline. Hughes continued to train his mind and remained interested in various mental disciplines, for instance The Spiritual Exercises of St. Ignatius Loyola, founder of the Jesuits. Once when I was walking with him near his home in Devon, he attempted to introduce me to a form of memory-training. I resisted, but the pedagogue, ever present in Ted, persisted unsuccessfully in trying to persuade me to focus my mental capacities. He told me that African tribesman will bring back a far greater amount of information from forays into the world than we do, virtually blind, indifferent to what we are experiencing. In fact, Ted was suspicious of much of the technological wizardry of our time, including the word-processor. He insisted that there is a direct link between hand and mind. He never used the computer given him by his publisher, who even sent someone to instruct him in its use. As a result, so that his archive consists largely of his own handwritten drafts, he later typed and again corrected by hand. He told me that when computers came in, the standard of entries in the Daily Mirror (later the W.H. Smith) children’s writing competition supported by him, declined. The pieces of prose and poetry had become much longer, immaculately presented, but of far less intrinsic merit. The truth, Ted believed, may be represented as that which underlies language, which, one might even say, survives translation, even if Robert Frost famously claimed that it was the poetry itself that was the casualty in the translation of poetry. Frost, of course, is right, in an absolute sense, but for Hughes, what survived was the poetry, or the truth that gave rise to it. The therapeutic actuality, might be a more accurate description. For Hughes, writing was somewhat akin to therapy, which may be why he several times referred to translation as “good for me”. What is the Truth? (1983) is the title of one of Ted Hughes’s books for children. Subtitled “A Farmyard Fable,” it contains some of the author’s most striking poems about animals. The plot is roughly as follows. God reluctantly accedes to his only Son’s request for them to descend to earth and learn what humans perhaps can teach them, but warns Christ that he is going to be disappointed. On earth, God summons a number of slumbering country folk and asks them what is truth, since in sleep one is closer to it than when awake. In a series of poems, each human spirit tells of this or that creature, trying to convey its essential nature. But what seems to be happening as well is an interrogation of poetry, a self-interrogation, then, by Hughes of the kind of poet he was still capable of being. So, is the truth to be found in these brilliantly descriptive pieces? The book ends with God the Father having left, and the Son finding himself alone on earth, at the start of a new day. The truth, it seems, is not to be conveyed by description, however mimetically compelling.